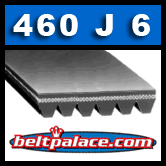 460J6 Belt. Poly-V. 46 inch 6 Rib belt. Replaces Dayton 3X655 belt, Sears C-BT-215 Poly-V. Saniserve Belt 58888. Home > Synchronous Belts > One Sided Timing Belts (Single Side Synchronous Belts) > HTD Timing Belts. Round (Curvilinear) Tooth Profile > 896-8M-15 HTD Heavy Duty Timing belt. HTD > 460J6 Belt. Poly-V. 46 inch 6 Rib belt. Replaces Dayton 3X655 belt, Sears C-BT-215 Poly-V.
460J6 Belt. Poly-V. Replaces Dayton 3X655 belt, Sears C-BT-215 Poly-V.